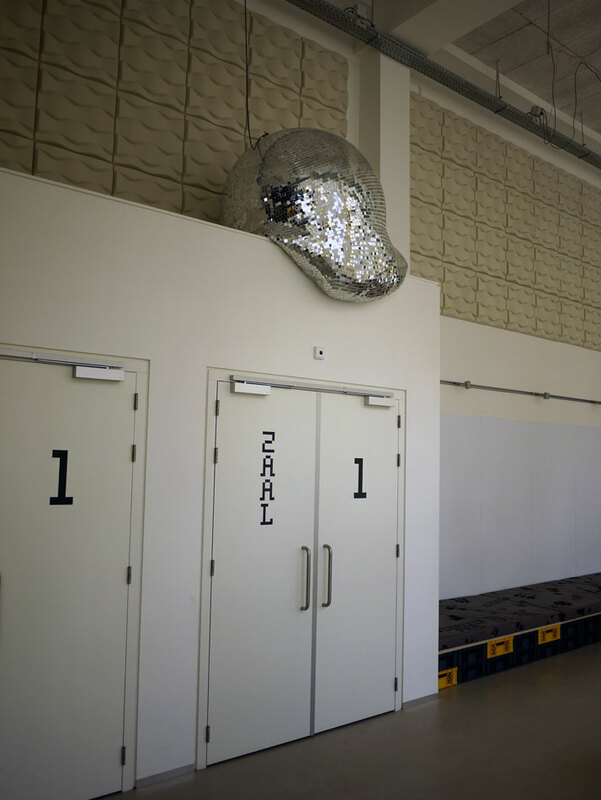 Disco makes a comeback where the object which represented it to the full arises from the dead to be revived by the artistic group known as ROTGANZEN. Based in Rotterdam/Schiedam, its three founders Robin Stam (1981), Joeri Horstink (1982) and Mark van Wijk (1984), all hail from the Willem de Kooning Academy of Art. 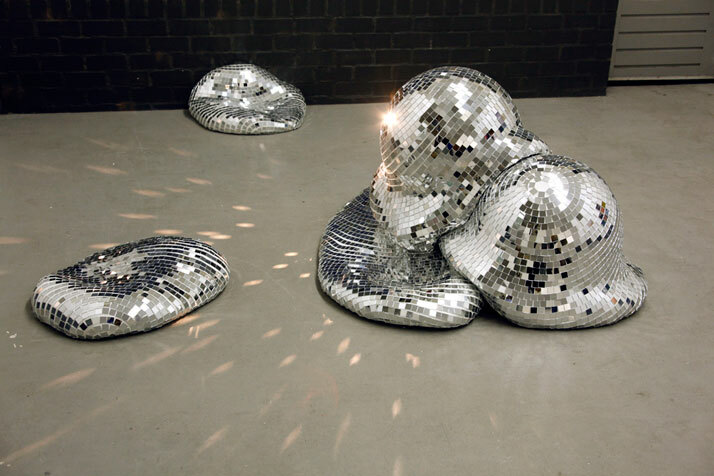 Their artworks which they describe as, ‘melted disco balls’, consist of glittering blobs which are amorphously shaped. 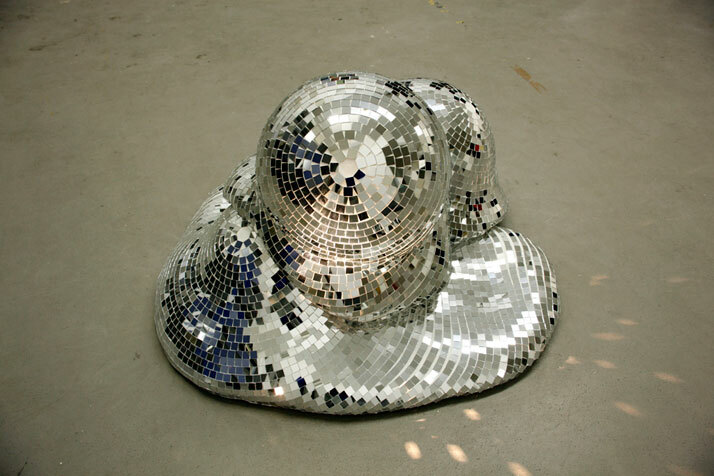 Covered in a layer of intricate mirror pieces which make up their mosaic type outer skin, they take us back to the days, not only of glorious ‘disco’ itself, but to a past glory through their new, fresh and irregular shape. One could say that their abstract forms portray the Daliesque style of a time that has gone by. In saying that however, these pieces do not express melancholia, but rather exude humor and motion and it is this ideology which is cleverly interpreted in the relationship between the blobs and the exhibit space that they inhabit. 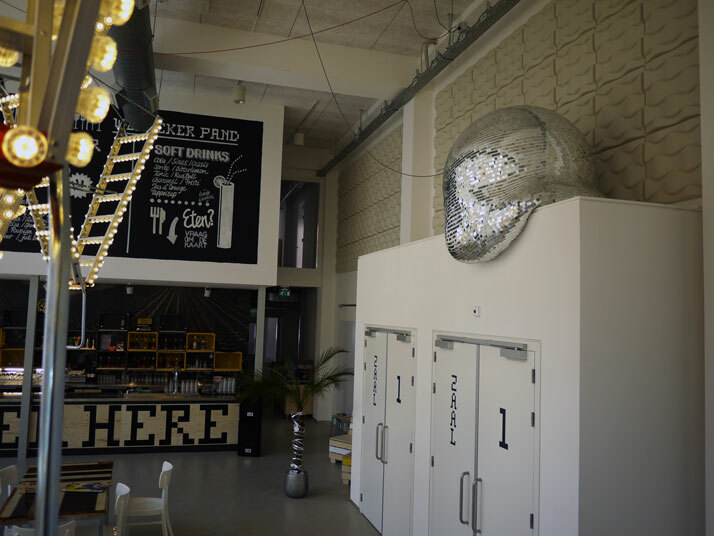 'Quelle Fête I’ is a commissioned piece which is currently on display at the Wennekerpand in Schiedam, an old distillery which was originally home to the Jenever Vodka brand. 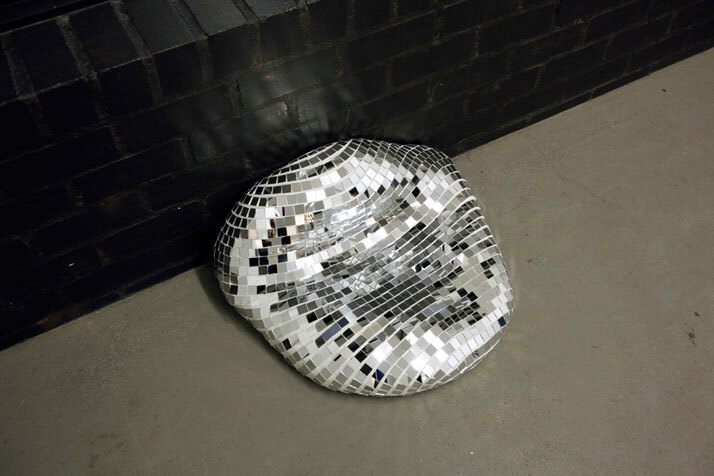 In keeping the concept as simple as possible, the firsthand relationship between the art and the space, as well as the ubiquitous intermarriage of alcohol and disco, are artfully portrayed. 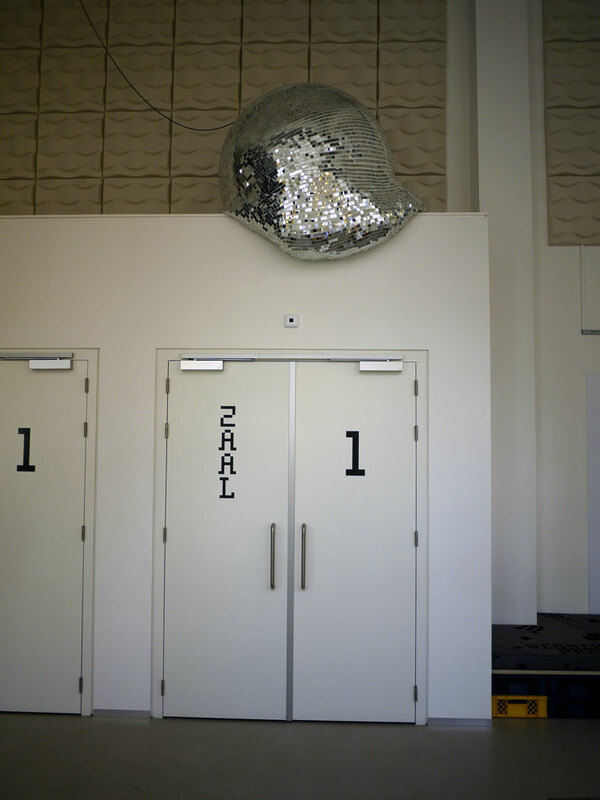 The fun side of this exhibit shines through, for example, through the positioning of the artworks on top of partitions where the disco ball all but oozes down the partition in a cheeky and voluptuous manner. 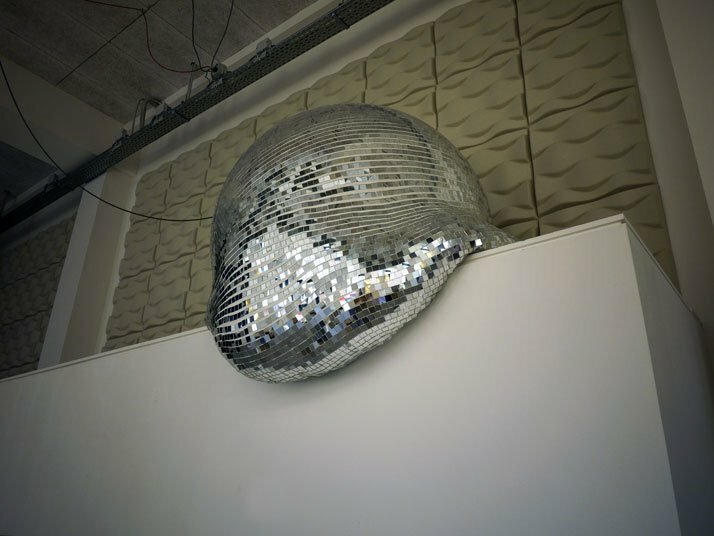 Ultimately, it’s up to you as to how you perceive this tongue-in-cheek depiction of the disco ball. Is it over-the-top or simply a mischievous take on the 70s and 80s icon of fun? 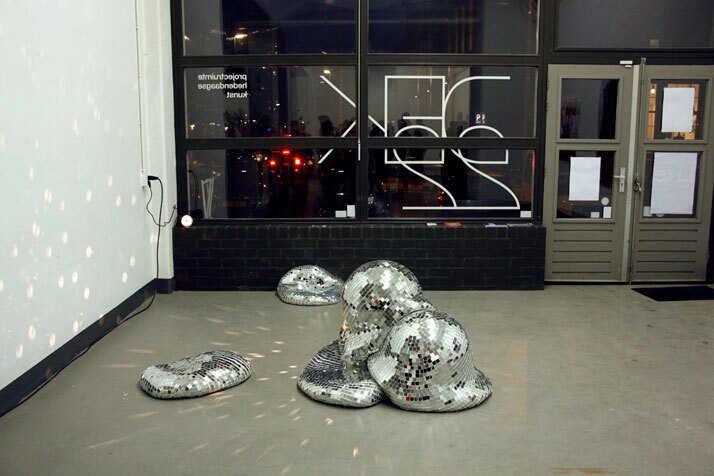 Whatever you decide, one thing is for sure, these melted mirror balls make for fun viewing offering a trip down memory lane into another era. ‘Quelle Fête II’ recently showed at the group exhibition ‘Dek22 Like’ hosted in Rotterdam at Dek22 Gallery. 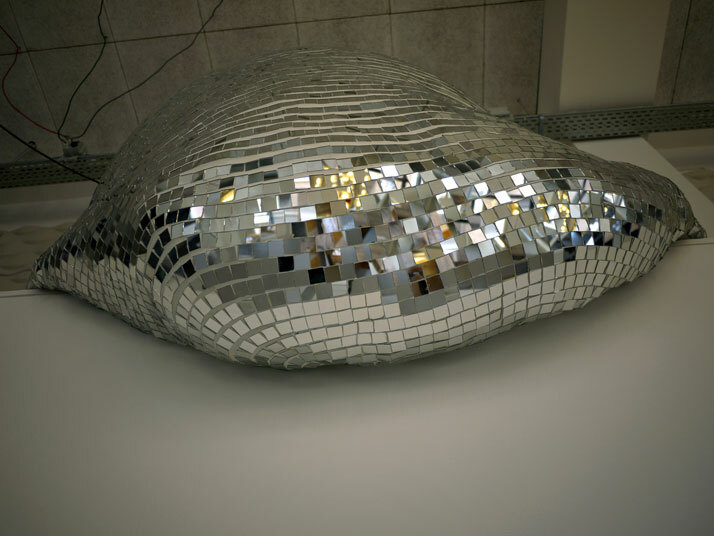 Here, the disco sculptures located on the entrance level, entice and enthrall with their obvious intimacy and togetherness, all presented in a glitzy package. It is as if two items have been brought together through emotion and sensuality and are now acting as one where the sole pieces almost seem to move along with the beat of the drum. 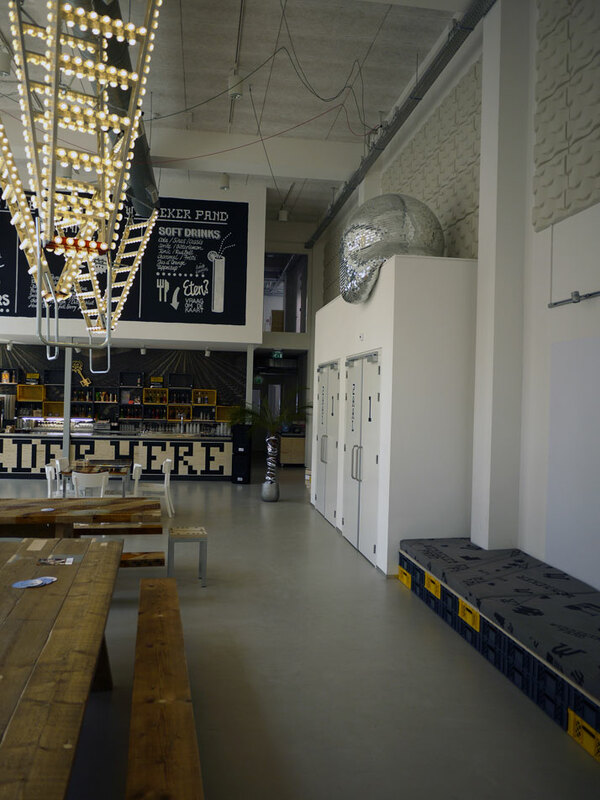 They create a sense of occasion where everything is very alive; where everyone comes together to ‘the sound of Disco Beats’. These glorious glitzy globs never let us forget an iconic time, where their new found freedom however, makes them very present day.